Drupal Surpasses 1 Million Websites | Squelle Group, s.r.o. 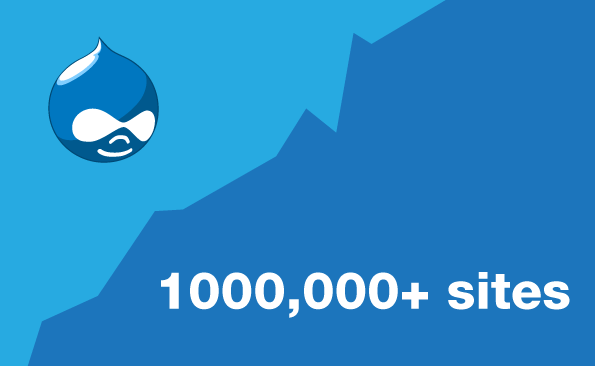 Today the Drupal Association, the nonprofit organization dedicated to helping the Drupal open source project flourish, announced that Drupal is now used to run more than one million websites around the world. As of February 15, 2014 the number of sites using Drupal is 1,005,489 according to the automated tool on Drupal.org which tallies most of the live Drupal sites on the web. One reason Drupal has become so popular is its modularity, which allows users to implement as many or as few features as they want. Drupal is also known for its extensibility, scalability and thriving community. Some of the world’s highest-trafficked sites run on Drupal, including the New York Stock Exchange, Examiner.com and 71 of the top 100 universities in the world.